For each job you need a certain set of skills and a proper tool. Still, there are some tools that come handy in all kinds of situations and impact wrenches are among them. 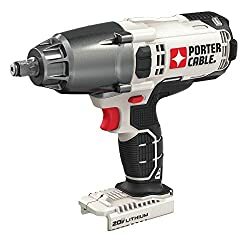 Our mission in this article is to find the best cordless impact wrench 2019 has to offer. We shall review ten best impact wrenches we found on amazon and pick one for a winner. You will see all the features, all pros and cons and some user experiences regarding these tools. By the end of the article you will know which one is the best impact wrench for you. Few Things about Impact Wrenches Which You Must be Aware of! 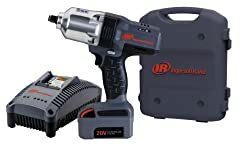 How Cordless Impact Wrench Works? To find the best cordless impact wrench we created a small comparison table with some basic features for each tool. You will then be able to define your opinion based on hard facts regarding each impact wrench. This is really important if you want to buy the very good impact wrench on the market for your money. Underneath you will see a table top ten best impact wrenches 2019 market has to give. All these impact wrenches are multi-purpose, so you can use them to change your tire or screw in the pieces of furniture. They can work with different bolt sizes, all you have to do is use appropriate socket. The weight of the tools improves its stability while in hand. But let’s see more details regarding each impact wrench described in the table. 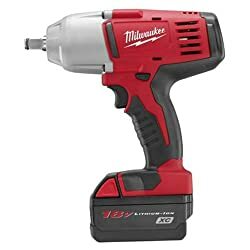 Milwaukee ½” Impact wrench offers superior performance to its users no matter the purpose you intend it to. You could perform any task with its 700ft-lbs maximum torque. This means that you could easily secure your truck wheel using this tool. But this is just one of the perks of this product. It has two working modes you can switch between. Its “drive control” feature allows you to change between 100 and 700ft-lbs torque depending on your needs. This is especially handsome in case you want to fasten a more delicate bolt to a sensitive surface. If you use less torque you will avoid any possible damage and still you will have enough power to perform heavy tasks. Milwaukee impact wrench operates with a powerstate brushless motor which allows a cool run. This means that the motor will not overheat as its competition. With this cheap impact wrench you are allowed to operate longer so you will get your job done quicker. The fact that there are no brushes on the motor means there are no wearable components, so the longevity is not an issue. Ergonomic handle offers a tight grip which is important if you operate in places that are hard to reach. But that’s not all, there are other features that made this product 5 star rated impact wrench on Amazon. It’s frustrating when you have to stop in the middle of your work and recharge your battery. Milwaukee impact wrench uses a Redlithium XC 4.0 battery which allows you to work twice as long as with other. Located at the bottom of the handle this battery gives you enough time to complete your job without unnecessary breaks. This is especially good if you operate in a conditions without electrical supply. When it comes to Milwaukee 2763-22 impact wrench, you can’t find many complains coming from the users. For what it’s worth, the most common complaint is the weight of the product itself. Some users say that it’s hard to handle such a heavy tool. It’s reasonable to say that it’s not easy to hold it while laying on your back under the car. Other users complain that it’s hard to switch between the power modes with gloves on, but other than that you won’t hear any harsh user remarks. On the plus side we have features like: dual mode performance, powerful torque, strong motor, long-lasting battery. What drives the buyers away is: 15 pounds weight and it’s difficult to operate with gloves on. Dewalt impact wrench is a cordless tool that allows you to perform all your tasks even if you are in the middle of the road. In case you purchase the battery to power it that is. It’s kind of a letdown that the battery goes separately, but still this product offers a lot. It’s light even with the battery so holding it while in difficult position is not an issue. There’s also a working light feature that allows you to operate in dark places. This is especially good in case you get yourself working late and there’s no extra light you could use. The motor is powerful and offers a 700ft-lbs maximum torque. This means that you have enough power to get your job done no matter what you’re working on. To control this power there are three power mods. Each of these modes gives you a certain level of torque, depending on the type of your work. When it comes to safety, we can say that the detention pin, located on the anvil, is a nice touch. This means that socket will stay firmly in its position thanks to a small pin that holds it tight. As any other product this one also has some good sides and some bad sides. Most of them we mentioned already through the description but let’s see the complete list. Positive aspects of this impact wrench include: High torque, LED light allows working in the dark, detention pin insures extra safety, brushless motor. On the negative side: No battery included, poor design for left-handed users. With 330ft-lbs torque, this cordless impact wrench is not the most powerful on the market. This means that you will not be able to do all the things you could do with more powerful tools. On the other hand, for its intentions this is an excellent impact wrench. It has a chemical resisting housing, so it’s pretty safe to use it near your car. It also means that you can work in other areas where there’s danger of chemicals. Its handle is ergonomic and allows you to have a tight grip while operating. Although it’s powered by a battery, this impact wrench comes without one. This means that you need to buy battery separately in order to use the product. In terms of control, this impact wrench is really giving you loads of opportunities. You can control the rotation speed with a simple push of a button on the side. Maximum rotation speed of Porter-Cable impact wrench goes up to 1650Rpm. This is a great feature if you need to screw or fasten very long screws. Also by reducing the speed you can operate with more precision. Also, working in the dark areas is not a problem. A small LED allows you to have a better view of the area you are working in. So, you can be working at night at the middle of the road with this impact wrench and still finish the job quickly. This impact wrench has all the elements needed for a domestic use. It provides 325ft-lbs torque which may not be too much but has its purposes. This much power allows you to work around your car or perform some domestic maintenance tasks. It’s a bit larger than other impact wrenches within its power class. However, it weighs just 6 pounds so it shouldn’t be difficult to hold while operating. Where it lacks torque, Makita compensates with rotation speed. 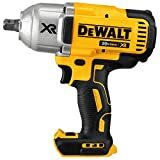 This very cheap impact wrench offers 1600rpm-2200rpm for your convenience. This is a useful feature in case you really need to get job done fast. Just think about being in a situation where you need to fasten a lot of bolts. 2200rpm mean that it would take you a lot less time to fasten those bolts than with other impact wrenches. When it comes to the design, the handle takes all the credit. It’s ergonomic, rubber-covered allowing a tight but soft grip. This will allow you to have a comfortable grip while in control of the tool. More than that, the rubber absorbs the shock so you won’t feel as much stress on your hand. Bottom line, you will be able to work longer without taking unnecessary breaks. A small LED light, placed just above the trigger allows you to light up the area where you operate. So even if there’s not much light in the area, you can still work uninterrupted. Some users state that the trigger mechanism sometimes breaks but it’s an easy fix. The reports of this issue come from various users so we can take it as a general issue. Other critics refer to the rocker switch for the change of rotation direction. Users state that it would be better if it was a simple side-to-side switch. Also, the fact that you have to buy battery separately didn’t make people happy. This impact wrench comes directly from the USA and it offers a remarkable 780ft-lb reverse torque. Nut-busting performs at 1100ft-lb, so you are able to bust even those corroded nuts and bolts. This makes it a handy tool in virtually all situations you can think yourself in. You would think that a powerful tools such as this one weighs a lot, but there’s another thing coming. With only 6.8 pounds, the torque and the rotational speed Ingersoll Rand produces are really something else. Metal casing keeps all the internal parts protected from outside influences. This means that your impact wrench is sturdy and can also take a few falls on the ground. It’s a problem when you have to take care about your wrench and watch where you’re putting it, or if it falls over. The handle is ergonomic and also absorbs most of the shock. This feature reduces fatigue and allows you to work longer without stopping to rest your arm. If you are not a professional, this tool might be an overkill, it offers so much power that you wouldn’t need in domestic situations. Still, it works on batteries, so you could place it in the trunk of your car and keep it just in case. It will help you change your tires easy and fast, even if your bolts are rusted. The batteries are not included with this one, which means you have to buy them separately. As you might have guessed, most users don’t like the fact that they’ve had to buy battery and charger separately. Selling a battery-powered product without battery is not a popular move with the customers. Other users report socket breaking after a longer period of use. This is not something you wish to hear, especially when you have in mind the power of this cordless impact wrench. Coming from a well-known manufacturer this impact wrench offers a little more than the others do. It’s smaller and lighter than its competitors which makes it easier to handle and operate. The battery is an 18v Li-Ion and allows you to work longer than with the most of other impact wrenches. Delivering 1600In/lbs torque at a maximum rotation speed at 2800RPM. This product comes with two batteries, charger and a case, so it’s a rich offer. More than that, it allows you to work at your own pace. You don’t have to worry about your batteries, once you ran out just make a simple swap and recharge the one you used. Design is pretty simple and allows you a firm grip. This gives you more control and lets you work just the way you want to. The size is recommendable, it’s a lot shorter than other impact wrenches of the same category. Above the trigger there is a LED light so you could operate in dark areas or at night. It’s safe to say that this impact wrench is not predicted for large-scale operations. Small, light and not too powerful, this impact wrench is best for domestic use. In case you need to fix something around your car or house, this is the tool you should probably use. In order to control the speed, trigger has variable positions. In short, press more if you want to go faster, there’s not much to it. Some users mention that this impact wrench doesn’t have enough power to perform heavier tasks. This is a reasonable claim but one has to understand that each tool has its intended purpose. Simply put, this impact wrench is made for domestic use and it’s not suitable for some large, corroded bolts. Others complain about its loudness. There are reports of users suggesting the use of ear plugs when operating this tool. Small in size, featuring well-known Ingersoll compact design this product is offering surprise after surprise. Imagine a 6.8 pounds impact wrench producing 1100ft/lbs torque. This power to weight ratio will allow you to bust open whatever you need. It has a metal casing designed to protect interior parts from damage. Special rubber covering the handle allows you to have a firm and soft grip on this impact wrench. Also, the rubber absorbs most of the shock, so you won’t feel fatigue as you would with other impact wrenches. There is 20v Li-Ion battery included with this product, so this puts it in front of the competition. Most other impact wrenches on the market come without batteries, but not this one. This one comes fully equipped with battery, charger and a useful case to put it all in. The battery allows you to work free of any concern that you have to stop and recharge. The reason for such an autonomous work time is 5Ah Li-Ion battery. But there’s more, a small LED light allows you to work at night and gives you freedom to work anytime, anywhere. Cleverly placed rotation switch allows you to change the rotation direction with ease. It’s set in a way that you can just move your thumb up and press the button. Silver color allows you to notice the button with no problems. For most users this product is outstanding, and it comes as no surprise that it’s one of the highest ranking in its class. Other users say that it’s not as sturdy as it should be, considering the power this impact wrench packs. There are reports of socket shaft breaking after a period of intensive use, which is pretty disappointing. Other than that, it’s all five stars for this one. This is a simple, easy to use impact wrench intended for domestic purposes. It has an ergonomic handle that allows a firm and soft grip, and it absorbs a lot of shock. 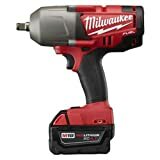 This means that Milwaukee impact wrench will go easy on your hand while you’re operating it. On the top of the handle there is a simple trigger that allows you to go from slow mode 1900RPM up to fast mode 2200RPM speed. On the side there is a rotation direction switch. Simply press the switch and instead of fastening you will unscrew any bolt you can find. Four pole motor gives great speed and produces 475ft-lbs torque, which is enough for any kind of domestic work. You can use it on your car or use it to do some fixing around the house. If by any chance you find a nut you can’t bust don’t worry about ruining your tool. Overload protection will kick in and prevent any damage to your tool in those situations. It’s a pretty clever mechanism and keeps your impact wrench safe from any damage. Socket change is an easy fix with this tool. Friction ring allows a quick, safe and easy socket change at any time. So if you need to change your socket while you work, no extra tools are necessary. This is a bare-tool product which means that it comes without battery or charger. This is really a shame because a lot of buyers will think twice before buying a bare-tool. Having in mind all the great stats this product has it would be a shame for someone to pick a different tool. But, once you get the battery you are all set to exploit that power in your hands. Coming from the users, this product receives only positive critics. People love how powerful it is, it allows them to complete any work with ease. Others say that it’s highly durable and sturdy so it gives them confidence while operating. Negative remarks mainly orbit around the fact that it’s not made for heavy tasks and the lack of battery. All things considered Milwaukee 2663-20 went well with the users. When it comes to professional tools Ingersoll really sets the bar high above all others. This impact wrench is an excellent choice for professional technicians who need reliable tool every day. This tool is made for durability and sturdiness. Metal drive train and metal-reinforced housing promise a long and safe performance. Thanks to its strong, reinforced housing all internal components are safe from harm. Speaking of internal components it’s important to mention that Ingersoll Rand has a powerful motor. Rare earth magnet motor will produce 1000ft-lbs nut-busting torque so you can bust a nut anytime, no mater what. This impact wrench produces a 780ft-lbs maximum torque which is more than enough for any professional. With rotation speed at 1900RPM you are more than capable of performing any professional task as fast as possible. This will save you time and increase your productivity by a significant portion. Battery is a 20V 5Ah Li-Ion and it gives out hours of autonomous workbefore you need to recharge. But that’s not all, there is a spare battery coming in the package, which means you don’t need to wait for the battery to charge. All you need to do is keep one battery always fully charged and you’re all set. High-charge capacity and low impedance allow the battery to have a long life and perform longer. The handle is ergonomic and allows a tight grip so you could do your work with precision and safely. Over-molded grip allows you a soft grip and absorbs shock produced by the impact. This is a great feature for professionals because it reduces fatigue. So by the end of the work day you won’t have that numb feeling in your arm. There aren’t many aspects that allow users negative critics of this product. What’s really wrong about this product is that it runs really loud. Over 100dB sound level can really be annoying after a few hours’ work. Many users report that it gets louder as time goes by, which is expected but not recommendable. Other than this, some users state that 15 pounds of weight is just too much, no matter how ergonomic it is. Dragging along that much weight all day can really be tiresome. This is a small and light impact wrench, intended mainly for domestic use. It’s not a good solution in case you are a professional technician and you need to work with it every day. It offers enough power to finish any kind of domestic and automotive repairs. With 133ft-lbs maximum torque you will have no problems changing your car tires. In case you want to bust a rusted tractor wheel nut then you’re in for something else. The compact size of this impact wrench is ideal if you have to carry it around the house or your garage. Also, you won’t get tired if you work longer than you expected, courtesy of ergonomic grip handle. On the top of the handle there is a two speed trigger that you can use to manipulate RPMs. The battery is one of the best features of this product, it offers long working hours and steady power flow. Bosch cordless impact wrench comes with two 18v 4Ah batteries, for your convenience. This is a great feature and the fact that you have two batteries allows you to work without a care. At any time you can just swap the batteries, and recharge the used battery for later. Most users do not appreciate such a low torque, no matter this product is intended for domestic use. Depending on the size and the state of your car, sometimes you need a little help to bust a nut. So this makes impact wrench a secondary tool although it was meant to be primary. All other aspects of this product have found appreciation with the users, as expected. In order to decide which one is the best value impact wrench for you and your needs, you need to make sure that you have all the facts right. Although we described every product in full details, there are some terms and some aspects that need some further explanation. This is why, in this buyer’s guide we are going to talk about everything you need to know about impact wrenches. Once you finish reading this buyers guide, you will be able to make an informed decision which impact wrench fits your needs. So let’s take a look at the most important facts regarding impact wrenches. Now that we know what types of impact wrenches there are, let’s see what distinguishes them. Pay close attention as this may be important part of your decision making. As you can figure out by its name, Cordless electric impact wrench is a tool powered by electric energy. 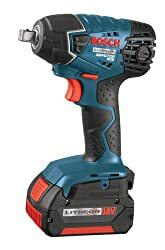 It uses a battery as a power supply and this is what separates cordless impact wrenches from its competitors. These impact wrenches allow you better movement, they are less restrictive as there is no cord to keep you away from the power source. Don’t mind the fact that it works on batteries, a cordless impact wrench is not weak. It can perform the same tasks as corded impact wrenches, only without a hustle of annoying cord getting in your way. These impact wrenches are excellent for outdoors and a lot of people keep them in the back of their cars just in case. These impact wrenches are easy and simple to use. All you have to do is plug the cord into a power outlet and you’re ready to work. The trouble with corded electric impact wrenches is that they are pretty much restrictive. You need to work close to a power outlet or have a long extension cord. This means that if you get stuck on the road with a flat tire, corded impact wrench would be useless. 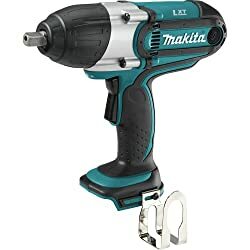 More and more people are going from corded electric impact wrenches to cordless for this very reason. The only advantage of a corded impact wrench is that you won’t be surprised by an empty battery. These impact wrenches pack the most power as they work on compressed air. They have the best power-to-weight ratio and they are often used in industry. The only problem with these impact wrenches is that they require a compressor. In order to work, air powered impact wrench needs a compressor to push the air into the motor and thus create rotation. Compressors are expensive and they are pretty bulk so you can’t just carry one around, it’s mainly stationery. This is the reason why air powered impact wrenches are used mostly in the industry where compressed air is not an issue. When buying an impact wrench, it’s important to know what to look for. The design and fancy numbers can often trick a buyer into purchasing a lesser product. This is why we are going to let you in on what’s important to pay attention to when buying an impact wrench. Battery represents a power source for cordless impact wrenches. With this in mind we can say that the quality of the battery determines the performance of your tool. For this reason be sure that you provide the best available battery for your impact wrench. Pay attention to the voltage and the capacity of your battery. The higher the capacity the better, because that means your battery will last longer. You don’t want to end up with a battery that takes ages to recharge and hours to become empty. If you are not sure which battery is the best for you, well you can always do some research. Find out which are the most popular brands, see how they performed with the impact wrench you want to buy. Electric wrenches get their power from the battery, but it’s not the only member of the equation. Torque is very important aspect when it comes to impact wrench power. When you have a very tight bolt or nut and you want to loosen it up, you would want to have a lot of torque in your impact wrench. IPM stands for Impacts Per Minute. It basically means how many times per minute the wrench hits the bolt. The higher the number the better, as you might guessed. It’s important to pay attention to the warranty period and what’s included in the warranty. Different manufacturer offer different warranties. Some last longer but cover less issues so you might end up with a five years warranty that doesn’t give you much coverage. Also there are others that offer a short warranty period but you get full coverage. It’s somewhere in the middle where you want to be. Also warranty can tell you a lot about the product and if you pay close attention you will notice the best offer for your money. Pay attention to the maintenance instructions. Some manufacturers will require you to perform regular maintenance in order to accept your warranty claims. As any other machine, impact wrenches also require some maintenance. Just make sure that it doesn’t mean you have to take it to a service and throw your money away. On the other side, some impact wrenches require just an occasional scrub. It may seem complicated but cordless impact wrench works on a very simple principle. First of all we have to notice that all the impact wrenches, no matter the type, work on the same principle. Battery powers the motor and forces it to rotate. This in turn creates a rotational force. This rotational force is called torque. The torque is delivered at controlled speeds. These controlled speeds are impacts. So simply put, impacts deliver torque which turns the bolt or nut. It doesn’t matter if you are a professional. If you have to work with nuts and bolts every single day and you need the best tool possible. You can also be an amateur just looking for some tool to help you perform some fixes with your car. Either way you want to buy the best possible tool for your money. In order to do so you need to be informed and that was the purpose of this article. This article shows some of the best impact wrenches on the cordless market. You saw all their features and specs. Now it’s time for you to make a decision and pick your favorite. In case you already have a favorite but it’s not on our list, please let us know in the comment. Maybe some other readers would agree with you.